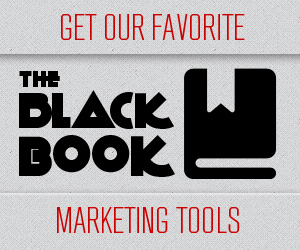 Welcome to the MarketersBlackBook.com Mindset Series. Over the next couple days we will be focusing on improving yourself and your business through practiced strategies our team has put in to action to make us better marketers, businessman, and team mates. Procrastination is a proverbial mental disease and is very progressive. The more you put things off, the easier it is to keep putting things off. Plans get derailed, dreams never materialize and you are no farther this year than you were last year. Successful people never procrastinate and let the results show as evidence of putting plans into action. It is easy to procrastinate when you are only halfway committed to completing a task. One of the ways to stay committed is to write a contract to make a personal commitment and sign it. When you sign on the dotted line, you are now contractually obligated to put forth a full commitment. If you break your contract, you will be in breach of your own personal commitment contract. The guilt builds up quickly reminding you to take action. It is much easier to stay focused on the long-term goals that you set when your tasks are smaller and easier to complete. Most people procrastinate due to being bored or tired with complex routines. Creating a timeline to complete smaller tasks helps you achieve your long-term goals faster with less stress. A little work each day goes a long way toward achieving the success you desire. Making time to work sounds easy until you fall behind. Most people fall behind at work and bring this unfinished work home. This invades personal time and puts you more behind. There is a time and a place for business work and a time and a place for personal space. Learning to keep the two separate will provide you with the time that you need to focus on taking action. Talkers keep talking and doers keep doing. Athletes, musicians and politicians cannot brag about success until it is achieved. Never spend the majority of your time talking about what a great job you can do. Start doing it instead. This gives you measurable results and not more talk that convinces you that you have already achieved something. Talking feeds procrastination but actions prevent it. There is nothing that wastes more of your time than taking on more projects or activities because someone asks you to. People do not mean to invade your space, but if you always say yes they will always continue to ask. Not every person in your life is as disciplined as you. Sudden emergencies are one thing, but wasting two hours on a phone call with an upset friend that wants you to fix his or her problems in life is another. Every person is distracted while working at some point during the day. Knowing what distracts you can help you learn to be more active. If your phone distracts you, turn it off before you start working. If you constantly check email or visit social networking websites, you can always wait until a scheduled time each day to complete these tasks. By removing distractions from your day, you will eliminate procrastination and be motivated to produce results. Anyone can finish the easy tasks. It is the difficult tasks that plant the seed for procrastination. The chance of failure is one of the things that go along with completing hard tasks. The worst that can happen is that you will fail and have to do it over. Your time is not lost using this method because failing miserably teaches you how to complete a task correctly. These tips will help you stop procrastination and start taking action in your life. There is a reason why winners win and losers lose. He or she that puts forth the most action is likely to achieve success. It is easy to put things off in life for tomorrow. As you grow older, you realize that you may not have many tomorrows left to accomplish your dreams and goals. Keeping track of your accomplishments provides you with a track record of success due to your actions.